Jack Hobbs targets the Champion Stakes after being withdrawn from the Arc, which was won by stablemate Golden Horn (pictured). John Gosden bids to continue his tremendous season by landing the £1.3 million Qipco Champion Stakes with Jack Hobbs who has a public gallop before racing at Newmarket today. Jack Hobbs, the winner of this year’s Irish Derby, is best priced at 7-4 (Paddy Power) but as short as 5-4 for the Group 1 Champion Stakes at Ascot on October 17, following a high-profile campaign that has seen him finish second to stablemate Golden Horn in the Betfred Dante Stakes and Investec Derby. The Irish Derby winner is to be brought to the parade ring prior to working with one lead horse on the Rowley Mile ahead of the first race of the inaugural two-day Dubai Future Champions Festival today. Gosden confirmed the Champion Stakes was the target for the son of Halling after he was withdrawn due to drying ground ahead of the Prix de l’Arc de Triomphe, won by Golden Horn. Golden Horn’s emphatic victory under Frankie Dettori in the Parisian showpiece consolidated his position at the head of the Cartier Horse Of The Year standings which will be awarded in a ceremony at the Dorchester Hotel in London on November 10. 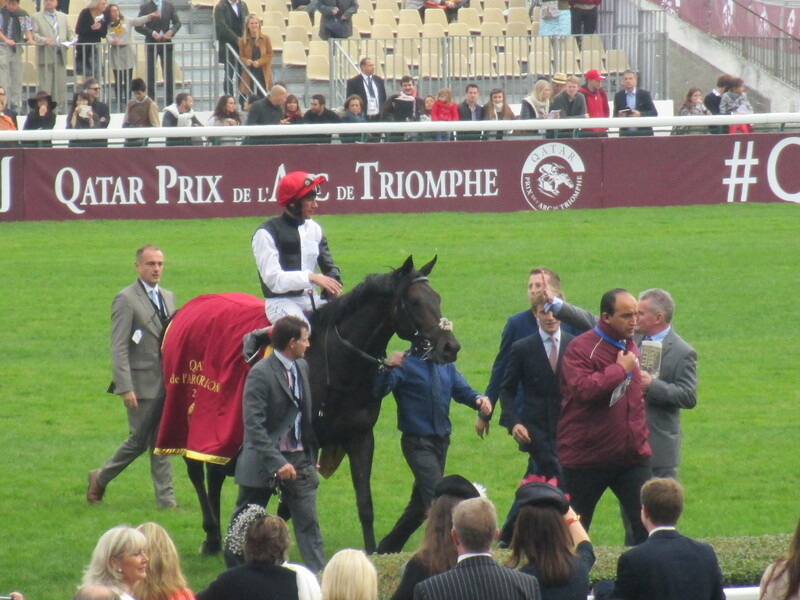 Harry Herbert, Cartier’s racing consultant said: “The Prix de l’Arc de Triomphe meeting never fails to provide exhilarating racing and we were fortunate to see excellent performances, headed by a superb victory for Golden Horn in the big race itself. “We look forward to more fabulous racing over the coming weeks as the flat season reaches its finale and there is still time for horses to launch a late bid for glory in the 25th Cartier Racing Awards. “The Cartier Racing Awards involve three strands; performances in Pattern races, expert assessment from the Cartier panel of journalists and votes from Channel 4 Racing viewers and readers of the Racing Post and The Daily Telegraph. Voting (online and postal) opens on October 21 and closes at noon on Tuesday, November 3.